The Focus E collection embodies the simplicity of the modern form without sacrificing on functionality. 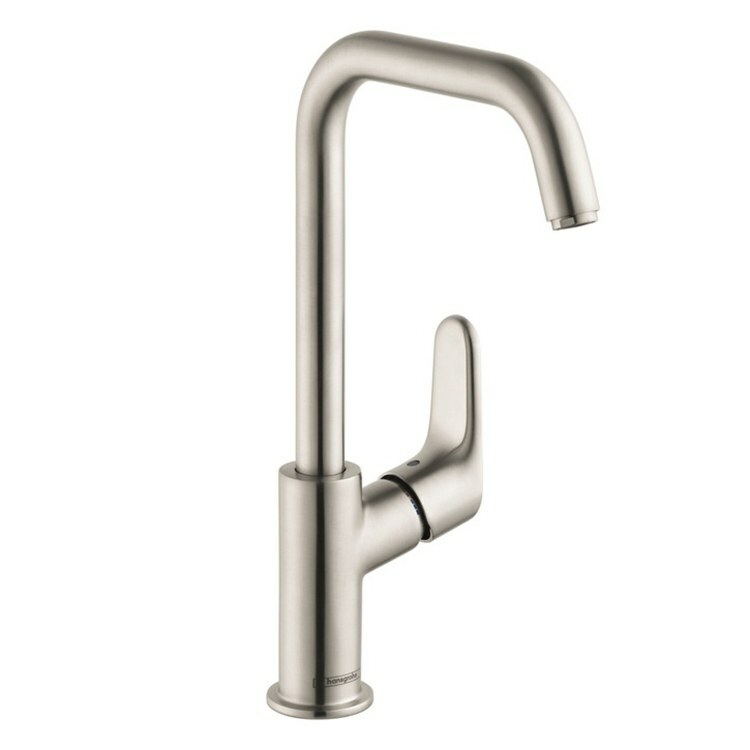 This Focus E 240 tall single-hole faucet features solid brass construction, a single lever handle and a high arc spout that swivels 120 degrees to better reach all areas of the sink basin. The faucet measures 11-3/4" high with a 6-1/4" spout reach.